Monitor Audio of Great Britain – the company renowned for its implementation of metal drivers and ‘exemplary’ cabinet construction – and speaker manufacturer since 1972, has a new set of blowers known as the ‘Monitor Series’. Ideal for home theater applications, the series includes orange driver cones, bringing ‘fun and functionality’ to residential environments. The new Monitor Series is, according to the company, a ‘beautifully designed’ family of speakers that deliver Monitor Audio’s renowned sound quality. Utilising a Black C-CAM dome tweeter derived from Monitor Audio’s Bronze series with a ‘creative’ use of the drivers’ configuration, the speakers are promised to deliver a performance that is not usually anticipated at their price. Bookshelf and floorstanding speakers are available in the range, as well as a centre and subwoofer, and the Monitor Series is claimed to deliver detailed audio resolution in both two-channel and multi-channel configurations. 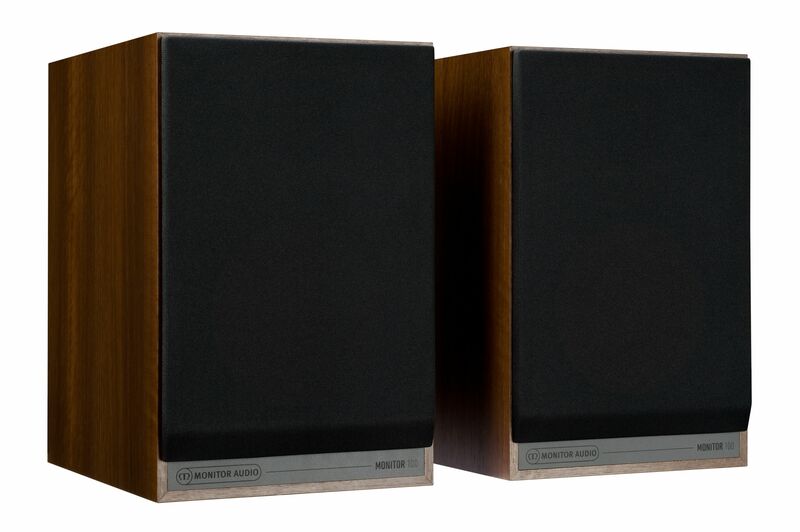 The speakers feature all the ‘class and style’ expected from Monitor Audio and are finished in a choice of black, white or walnut. 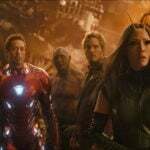 If you scroll down to the bottom of this article, you will see a wallet-friendly price list for the entire range in USD. MONITOR 50 The Monitor 50 is a compact speaker designed to look stunning in a bookshelf type environment. The usual rectangular cabinet profile has been replaced with a striking square cabinet which houses the single 51/2” MMP II driver and a 25 mm black C-CAM tweeter. 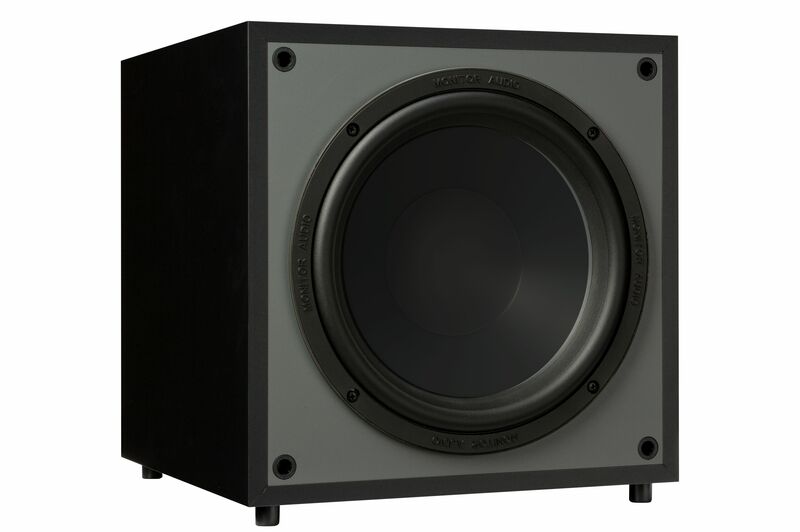 While the cabinet is rear ported, the output is well-damped and is suitable for positioning close to a wall. A single set of high-quality gold-plated binding posts provide the connections for an amplifier. 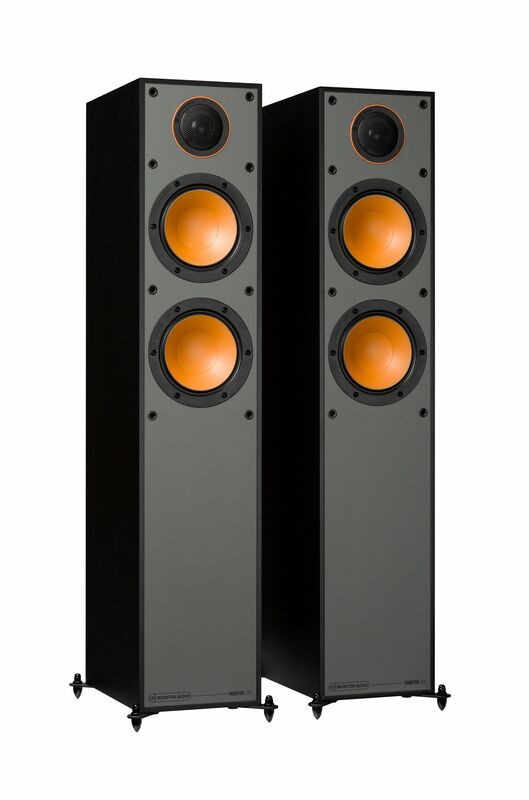 MONITOR 100 The larger Monitor 100 is a beautifully proportioned bookshelf/standmount speaker. To maintain the compact proportions, the cabinet is again rear ported. The driver size steps up to a 61/2” MMP II bass driver and is complemented by a 25 mm Black C-CAM tweeter. The Monitor 100 has two sets of binding post terminals, to facilitate bi-wiring or even a bi-amp set up. MONITOR 200 The Monitor 200 is the smallest floor-stander in the range and is designed to deliver audio in small to medium sized rooms. Two 51/2” MMP II drivers are housed in separate cavities and each driver has different tuning to optimise the small cabinet air load. 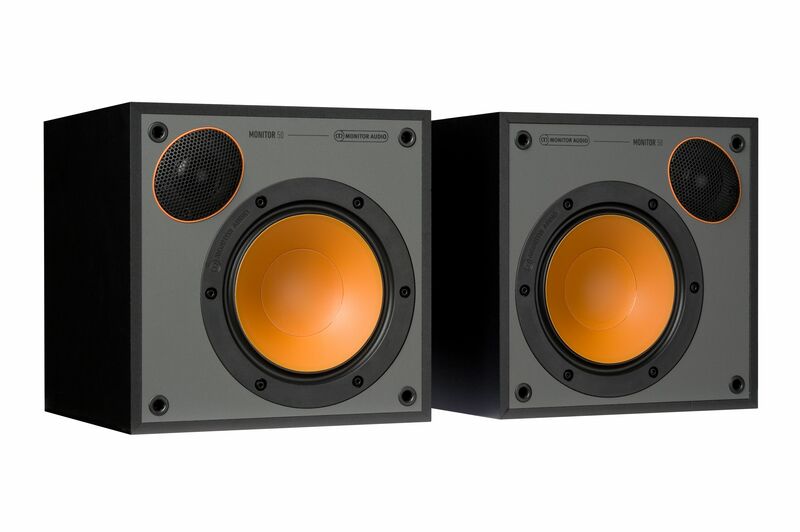 Twin drivers operate together at bass frequencies to provide powerful, punchy bass lines, while only the top driver is crossed over to the black C-CAM tweeter higher up in frequency to complement phase. 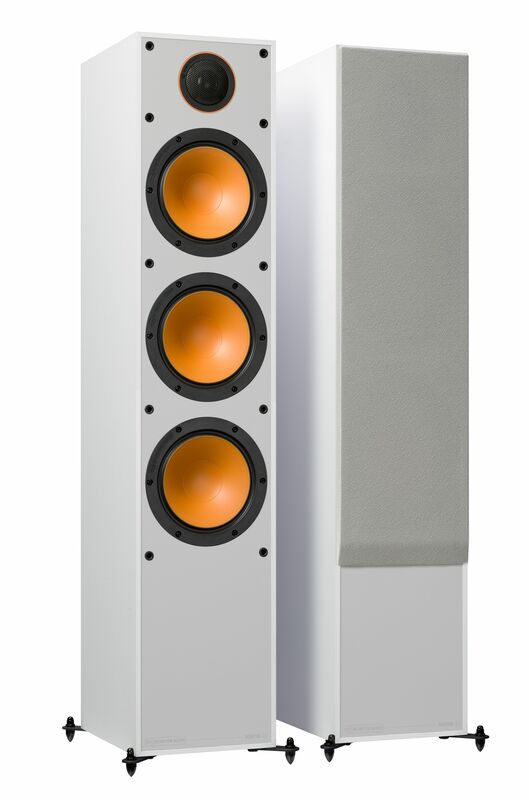 The Monitor 200 has the precision of a two-way speaker, with the addition of an extra bass driver for scale and power. 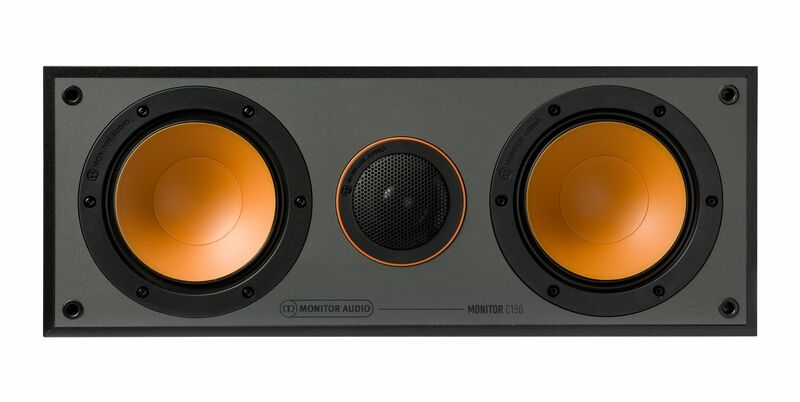 MONITOR 300 The Monitor 300 houses three 61/2” MMP II bass drivers: two dedicated to bass and one to mid-range frequencies. The increased driver and cabinet size deliver the scale and punch that is recommended for optimum performance in medium to large rooms. The dedicated mid-range driver delivers the clarity and precision expected from a serious hi-fi speaker, but adds in the necessary fun factor when called upon to create an immersive cinema experience. MONITOR C150 The compact Monitor C150 centre is ideal for cabinets and shelves. The sealed enclosure ensures it can be positioned right up to a wall without any detrimental effects. 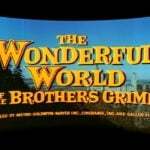 Twin 51/2” MMP II drivers work perfectly in tandem to give precise clarity to movie dialogue presentation. MONITOR MRW-10 The Monitor MRW-10 subwoofer houses a 10” long throw MMPII bass driver, capable of delivering thunderous bass down to below 30Hz. The rear ported enclosure provides optimal output from the powerful 100 W class D power amplifier. The amplifier boasts many features dedicated to optimising a home theatre system. EQ settings provides a level of adjustment for room and tastes. All filters and features are controlled in the digital domain using an advanced DSP based architecture to provide the ultimate in flexibility and control.